Kelly Bosak, outgoing staffing director at Ferrellgas, reflects on her career and recruitment. 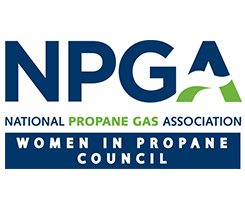 The Women in Propane Council (WIP) appointed Laurie Irish-Jones as its new chair and Brilynn Johnson as its new vice chair. The Women in Propane Council (WIP) named its 2017 officers during the National Propane Gas Association’s Fall Board Meeting.